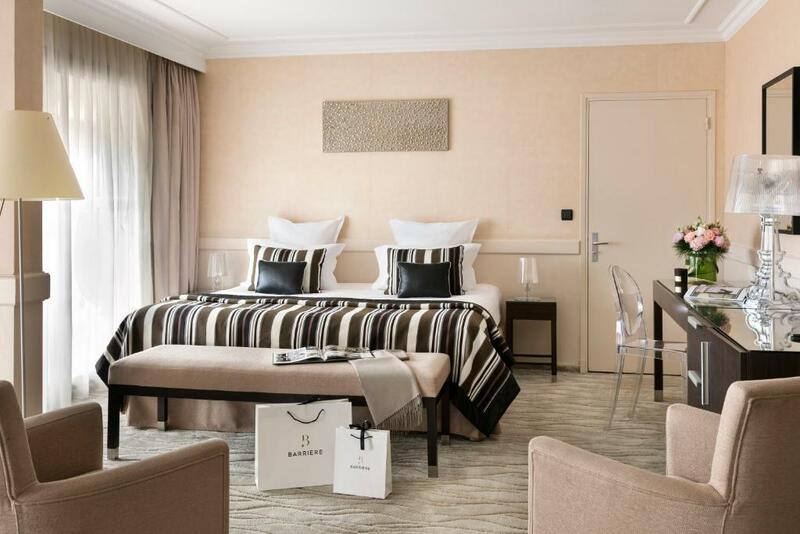 Lock in a great price for Hôtel Barrière Le Gray d'Albion – rated 9 by recent guests! This was a five-star type hotel without the five-star price. It was luxurious in every way and the staff were true professionals. Could not have asked for more. The manager was extremely accommodating and professional. Great location. Pretty much everything. Great location. Helpful staff. Matched up to the pictures. It was our honeymoon so we got upgraded! spacious room and very clean with balcony! it should be a five stars hotels ! 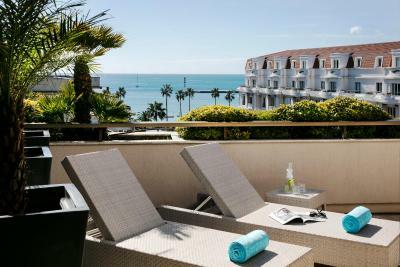 One of our top picks in Cannes.This 4-star hotel is located in the heart of Cannes between the seafront and the prestigious designer boutiques in the main shopping district. 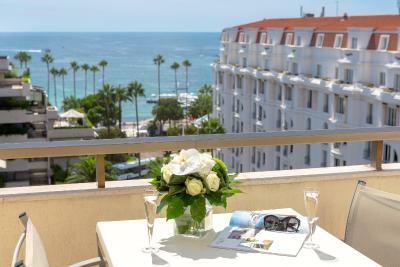 Just off the busy Croisette and a 3-minute walk from the Palais des Festivals, Hôtel Barrière Le Gray d'Albion offers guests a chance to relax on its private beach. Free WiFi is available throughout the hotel. 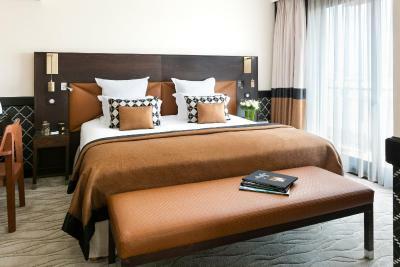 Each air-conditioned room offers a TV with satellite channels and a mini-bar with products for an extra charge. 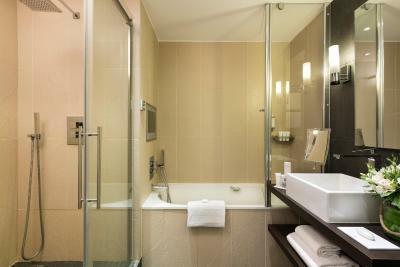 The private bathrooms are complete with hairdryers, bathrobes and free toiletries. Most rooms feature a terrace. Breakfast is served each morning at La Terrace du Gray. Mediterranean dishes are served for lunch and dinner at the beach restaurant overlooking the sea, during beach season. 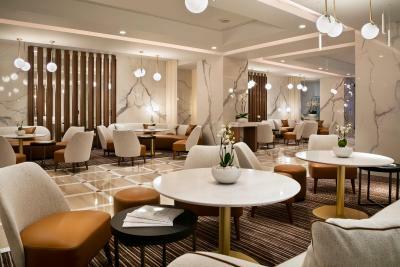 Guests can also enjoy dinner on the contemporary terrace at La Terrasse du Gray, or enjoy a drink at Bar du Gray. 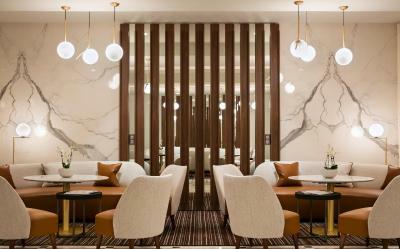 The well-known Fouquet's Cannes restaurant is located in front of the property and offers traditional French brasserie cuisine. 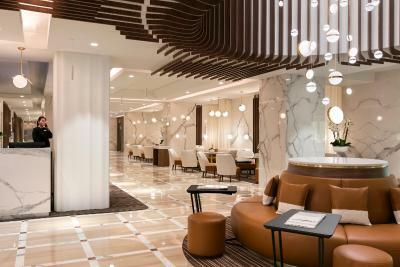 A 24-hour front desk, business center and concierge services are available. Guests can rent bikes and cars at the property. On site, guests can enjoy a fitness center and a kids' club Studio by Petit VIP is offered free of charge at Hôtel Le Majestic for children between 4 and 12 years old. 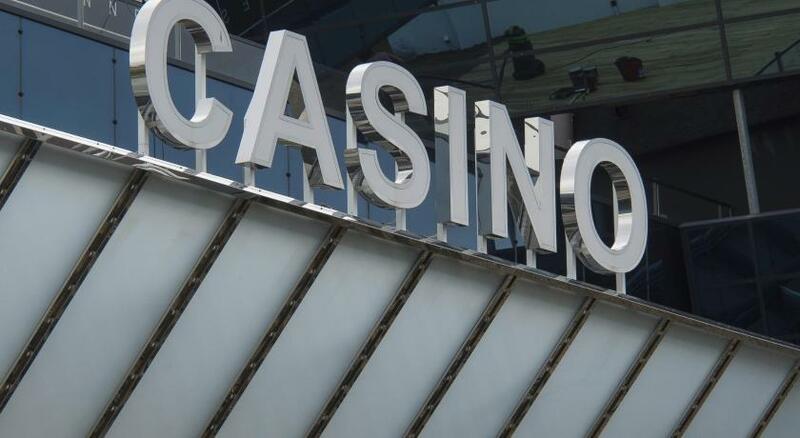 Cannes Train Station is 1,000 feet from the hotel and Le Croisette Casino is just 1,500 feet away. 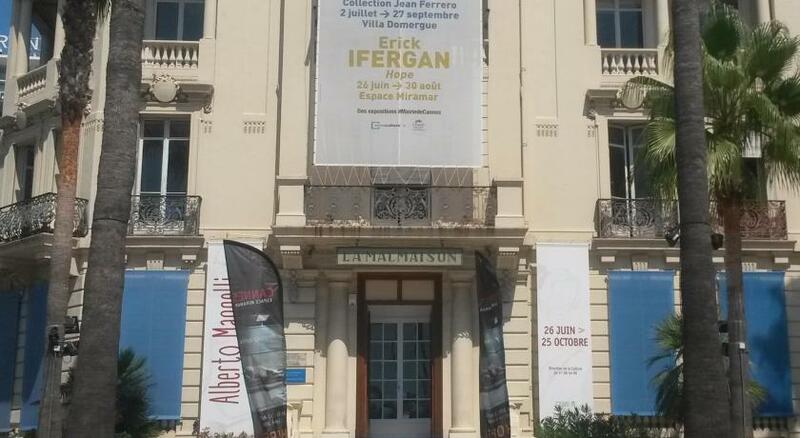 The Palais des Festivals is 1,150 feet from the property. Covered public parking is available for a surcharge. Nice Airport is 17 mi away and an airport shuttle service is provided for an extra fee. When would you like to stay at Hôtel Barrière Le Gray d'Albion? 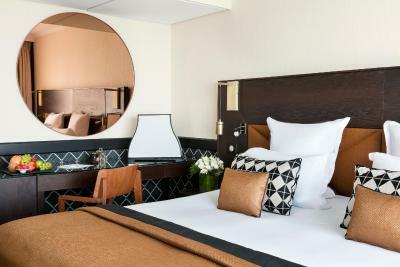 Decorated in a contemporary style, this bright and spacious air-conditioned room offers guests views over the city of Cannes. Guests in this room benefit from free WiFi, free use of the hotel fitness center and free access to the Studio by Petit VIP kids' club. 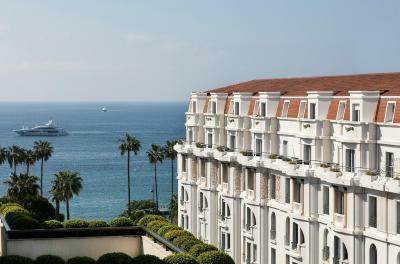 This spacious, air-conditioned room features a terrace, allowing guests to discover Cannes from above. This air-conditioned, spacious suite features modern décor. The suite features a prive terrace which is positioned to capture the afternoon sunlight. 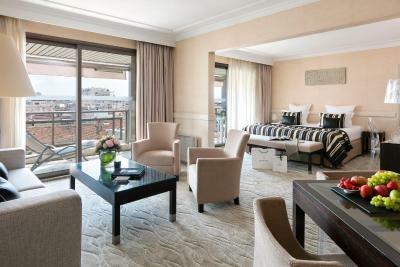 This air-conditioned spacious room features views of the hills surrounding the city of Cannes. 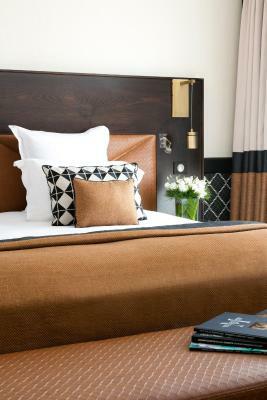 The room features a contemporary design and decoration with precious materials. 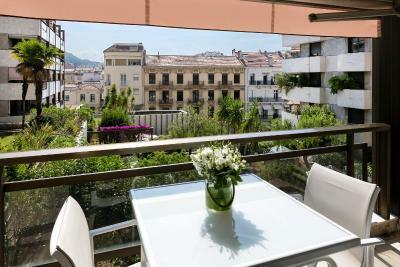 Located on the upper floors, this room features a terrace overlooking the city of Cannes and the surrounding hills. 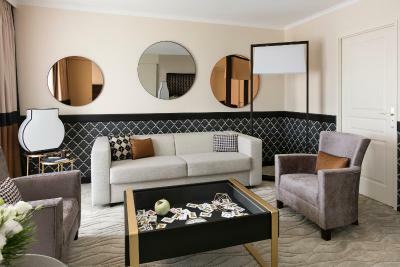 The Deluxe Suites offer guests a spacious seating area. 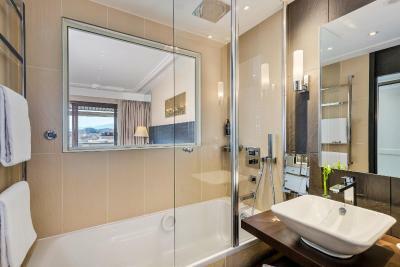 The bathrooms feature soft tones and natural materials. 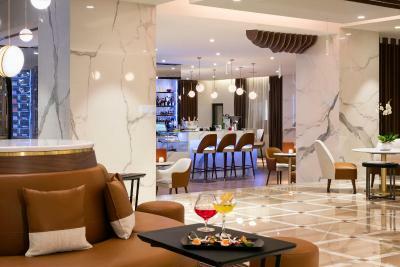 VIP welcome, early check-in and late check-out upon availability, mini-bar with free soft drinks. These contemporary rooms overlook the hotel's interior patio. These suites overlook the city of Cannes. Each suite features a private terrace where guests can relax over breakfast or with a drink in hand. 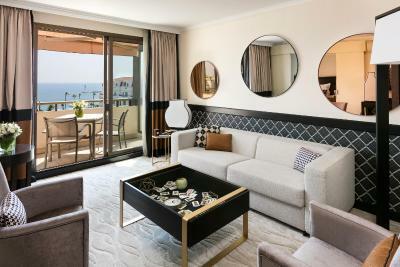 The largest rooms offered in the Hôtel Barrière Le Gray d'Albion, the Prestige Suites offer a panoramic view over the city of Cannes. Located on the upper floors, this suite features a large terrace measuring 180 ft² with a covered veranda and a solarium with sunbeds. 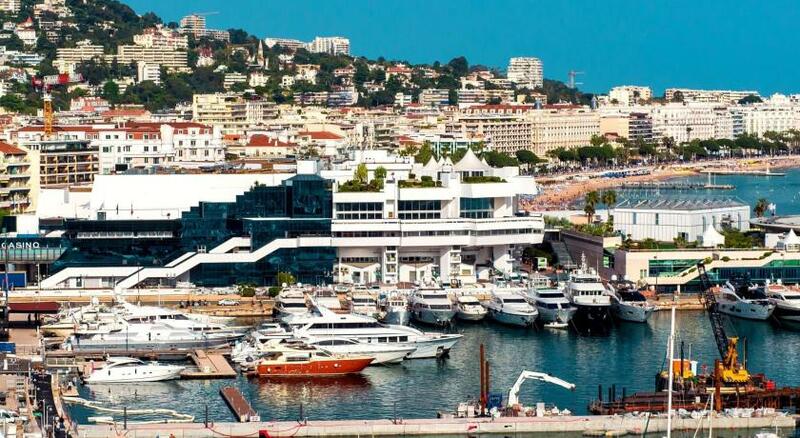 It has a panoramic view of Cannes city. 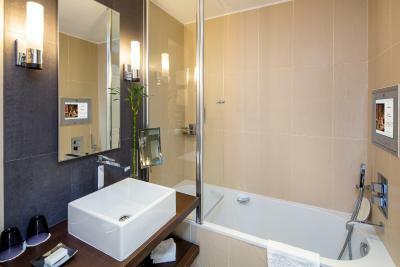 It offers a separate living room, a bathroom and free access to the hotel fitness center. This double room has a mini-bar, bathrobe and soundproofing. Guests in this room benefit from free WiFi. - Free access to the kids' club Studio by Petit VIP at the Hotel Barrière Le Majestic. These family suites have a modern-style decor and a private terrace where the whole family can gather. House Rules Hôtel Barrière Le Gray d'Albion takes special requests – add in the next step! Hôtel Barrière Le Gray d&#39;Albion accepts these cards and reserves the right to temporarily hold an amount prior to arrival. Hôtel Barrière Le Gray d'Albion accepts these cards and reserves the right to temporarily hold an amount prior to arrival. Guests benefit from complimentary access to the fitness center every day from 06:00 to 22:00. Everything. Excellent. Would definitely recommend. The location was perfect, a 4-minute walk from the train station, and adjacent to rue d'Antibes which is a charming main shopping street in the town center with little boutiques, cafés and restaurants mixed with the usual chain stores. 4-minutes walk from a market too. Very clean, spacious room with balcony; very friendly staff. No flaws! Everything was excellent!! Coffee and tea provided but with polystyrene cups, taken at ‘turndown’ time and not replaced. I’m sure we could have asked for replacements but china cups would have been better! Very pleasant staff with an excellent welcome, right from being greeted at the door, the car being parked for you and extremely charming staff on reception.